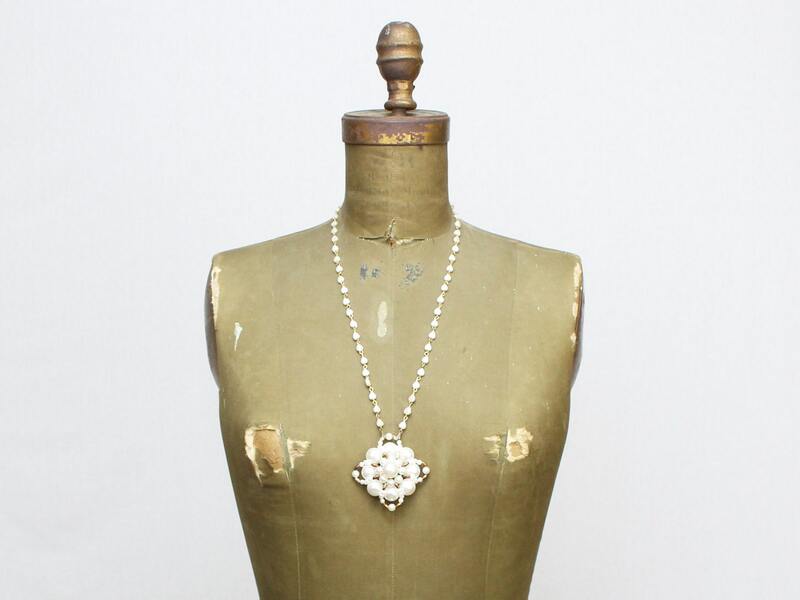 A beautiful long faux pearl necklace with a large statement pendant. 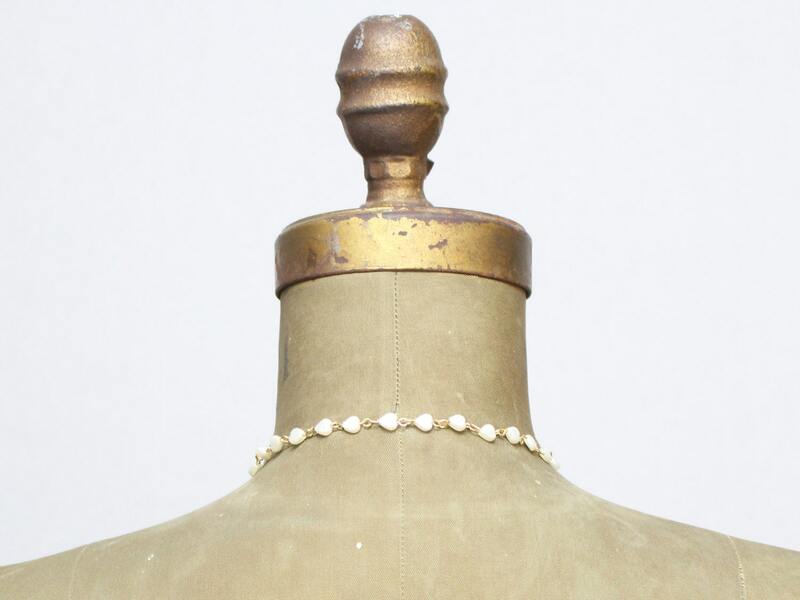 The beads on the chain are heart shaped and lined with gold tone. Some very light wear to beads.